As per the study conducted by EUIPO in 2015, 6.5% of sales are lost by the sports goods sector due to counterfeiting. It amounts to the revenue loss of up to €500 per year. Whereas 60% of sports goods sold online in India are fake. Apart from financial setbacks, job losses and tax loss to the governments, fake sports goods also put its users in danger of injuries. Counterfeit sports gears may cause serious injuries. Selling counterfeit goods becomes even easier on online portals as the sellers can easily hide their identity. Fake sports goods are made of substandard materials. These products don’t go through rigorous quality checks and don’t perform as good as the original ones. Many times fake sports goods may be dangerous for its users. They may easily get damaged. Safety gears such as knee pads, helmets are designed to protect the players from injuries. But their fake counterparts fail to protect the players and even put the player is a greater danger, as the players may be indulging in aggressive games thinking that they are protected by their safety gears. But fake gears may tear or break when they are supposed to shield the player. 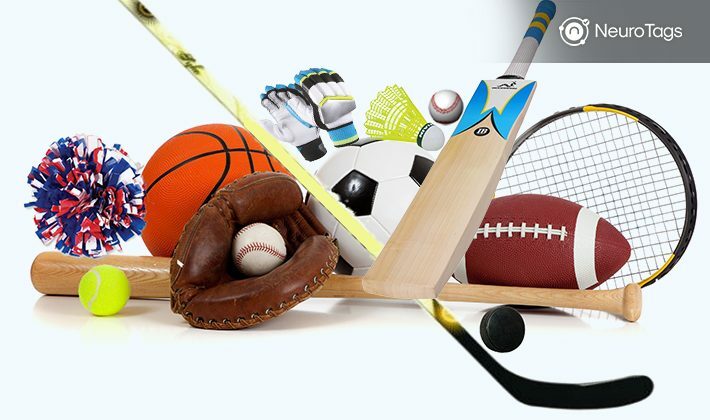 Most of the popular sports goods manufacturers put in lots of efforts and time in scientifically designing the products to make the sport most enjoyable and safe for its users. The manufacturers also test their products in extreme climatic conditions, whereas counterfeiters are only interested in making the quick money. They are not concerned about the product quality, user experience or the safety. Sports goods manufacturers can prevent the counterfeits of their products and save the buyers from purchasing fake replicas of their brand by using NeuroTags Anti-Counterfeit solution. NeuroTags solution is very flexible and easily customizable as per the client needs. This foolproof solution is backed by patent-pending algorithms and AI. NeuroTags provides algorithmically coupled crypto tags to be applied to the sporting goods. The buyer can check the product authenticity by scanning the tag on the product. If the tag is missing on the brand’s product, then a customer can be sure that the product is fake. 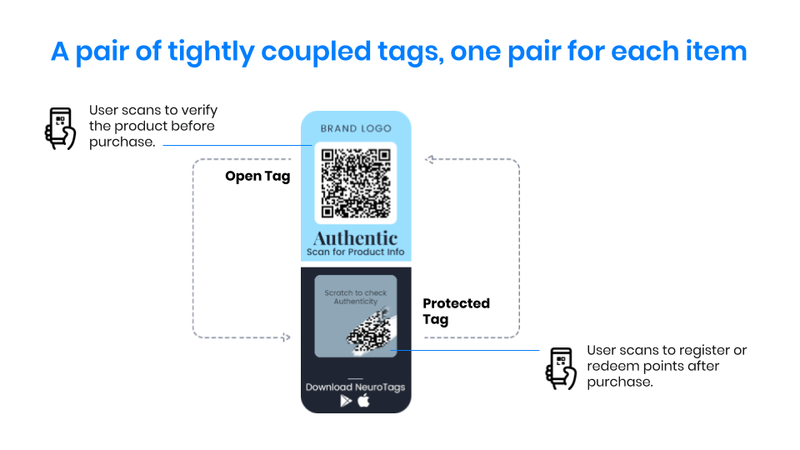 Each of NeuroTags crypto tags consists of two parts – open tag and protected tag. Open and protected tag parts are algorithmically linked with each other. The open part of the tag is open and can be scanned by anyone using a smartphone, and this tag gives a fair idea about the product authenticity. The protected part if the tag is either hidden by a scratchable layer or is kept inside the sealed product packaging. Buyers have access to this part only after purchasing the product. They can be certain about the product genuineness after scanning this tag. Need more information? Please contact us to know more about NeuroTags offerings.